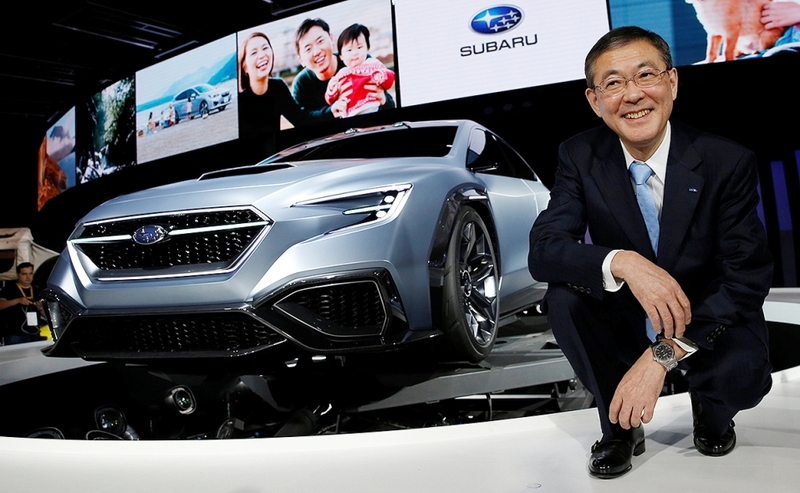 Subaru CEO Yasuyuki Yoshinaga is expected to vacate his role as president to become chairman, a Nikkei report Wednesday says. 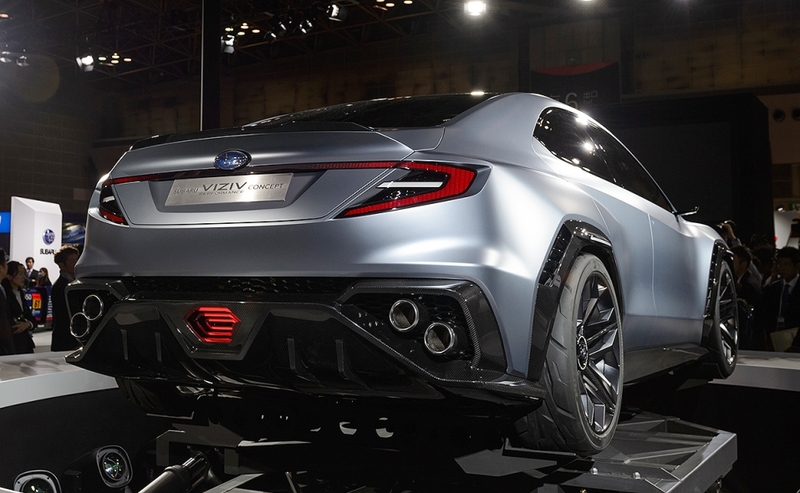 TOKYO -- Subaru hints at a new more muscular, athletic design direction, complete with fender fins and aerodynamic venting, with its new Viziv Performance Concept. The Japanese all-wheel-drive specialist unveiled the compact sporty sedan on Wednesday at the Tokyo auto show, saying the looks will debut in production cars in the near future. 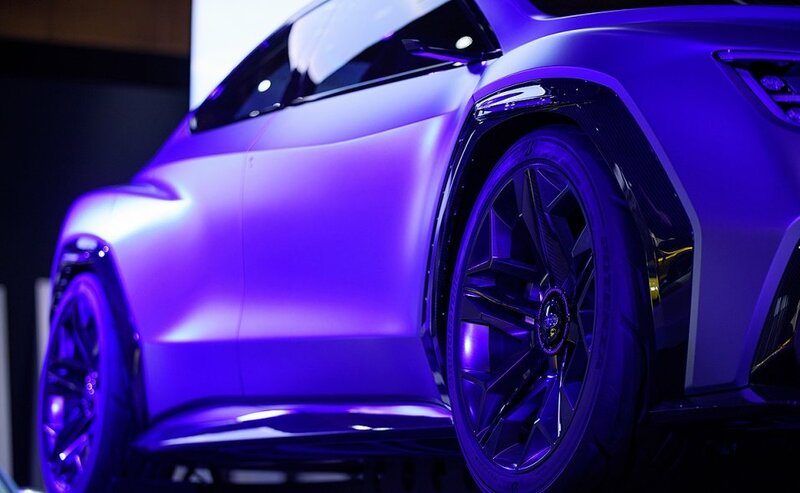 The concept gets a more planted, lower and forward-leaning stance to express movement, said Mamoru Ishii, Subaru's global design chief. "From this car forward, we don't want our cars to look good just parked in a show room but to look good running down the road," Ishii said after the concept's unveiling. Beefy blister fenders, front and rear, infuse the car with a muscular look, that can be dialed up and down to fit different nameplates across the lineup, Ishii said. But the concept on display in Tokyo clearly previews the packaging of a performance model such as the WRX. His design team also wielded a couple aerodynamic tricks to help the Viziv cut through the air. The first are perforated air outlets on the rear side of the front and rear wheel arches. They help smooth the turbulent air whirling around the wheel wells. The top of the wheel arch lip also gets tiny aerofins that protrude ever so slightly. These winglets help with aerodynamics and improve handling, Ishii said. 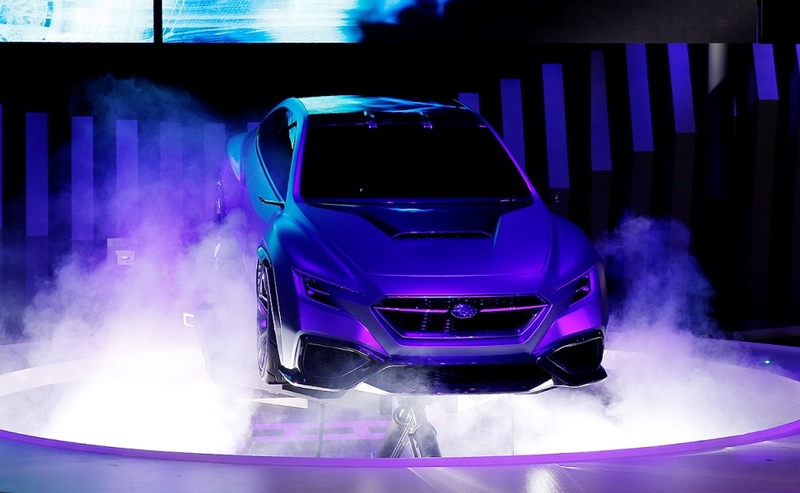 Subaru intends to use the wheel-arch aerofins on future production cars, he said. 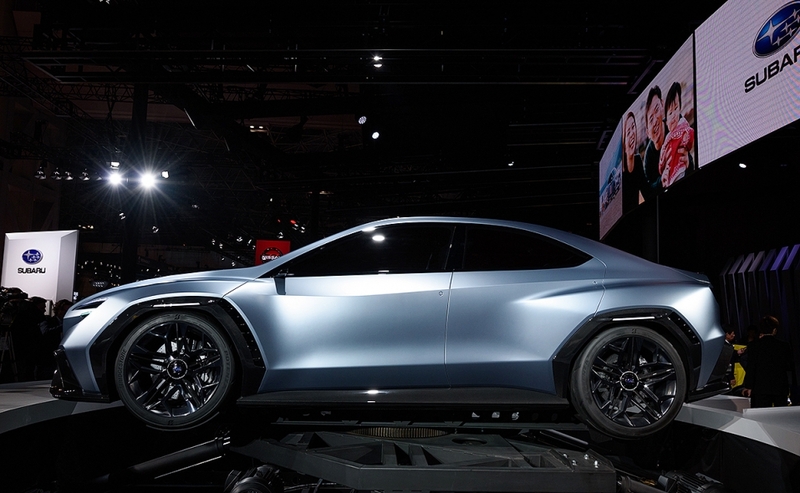 The car is the latest in a series of Subaru Viziv concepts that take their name from "vision for innovation." 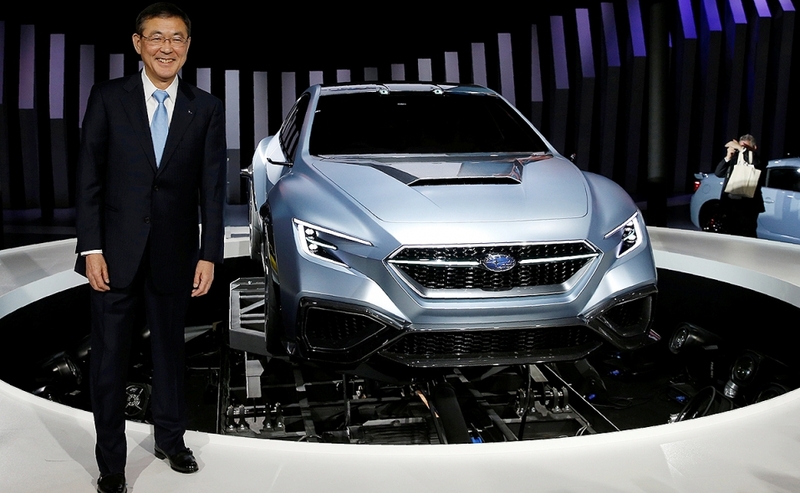 The Tokyo offering aims to combine Subaru's latest safety technology with the fun-to-drive characteristics of a true sports sedan, the Japanese carmaker said. 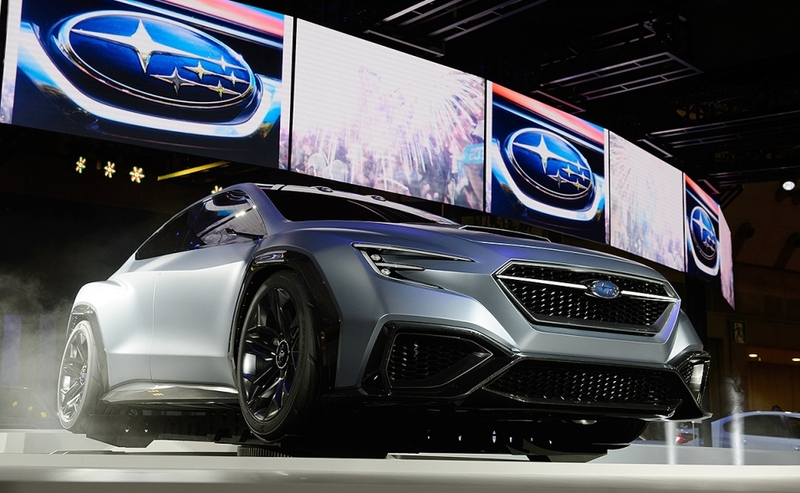 The concept embodies Subaru's vision for next-generation autonomous driving systems built upon the brand's trademark Eyesight safety technology. Subaru has said it targets Level 2 autonomy by around 2020. The future technology will team EyeSight with radar, highly accurate GPS and advanced navigations systems.